The 223 Remington was invented in 1964 and became one of the most popular and loved rounds in the world. 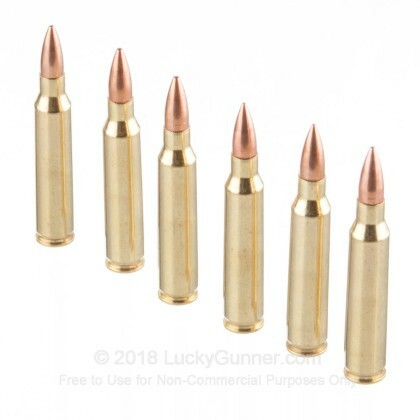 The 223 Rem and its sister cartridge the 5.56x45mm are used all over the NATO countries by military and law enforcement professionals, sport shooters and hunters. With its incredibly light recoil, light weight, and high accuracy it makes for a fantastic, all purpose round. G2 Research has been bringing lead free ammunition to the forefront with their innovative, high quality products. This 223 Rem Trident SuperSonic ammo is designed to deliver the terminal performance required to stop a threat. 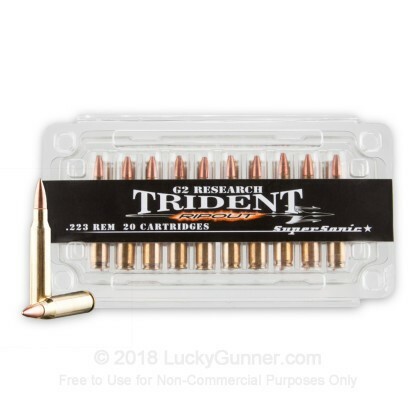 Each round in this box of 20 features a 65 grain hollow point projectile with three large copper petals. 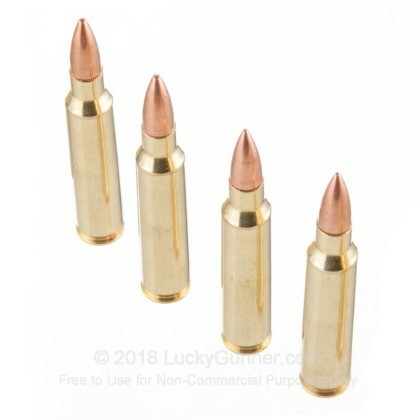 Upon impact these bullets expand 2.5-3 times their initial size and provide +/- 24" of penetration. G2 Research's ammo has the accuracy, penetration, and terminal performance you need to defend yourself. 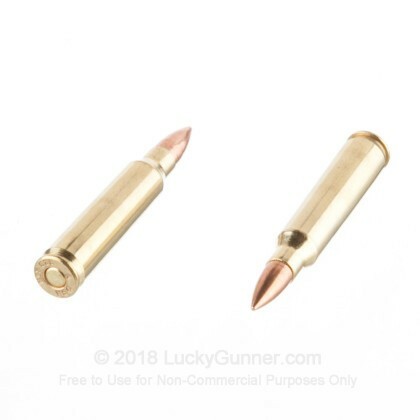 Each round in this box of 20 is loaded into a boxer primed brass casing that is re-loadable. Pick up a box or two of this premium G2 Trident ammunition today!